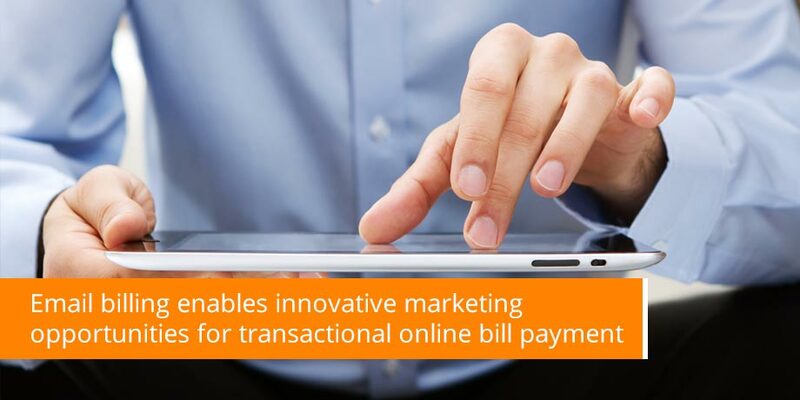 Email billing enables innovative marketing opportunities for transactional online bill payment. Traditional statement ‘stuffers’ are replaced with trackable, personalised interactive offers. In this edition of eBilling Insight, we look at why Striata’s transpromo messaging solutions are more effective than traditional paper inserts and online billing portals adverts. 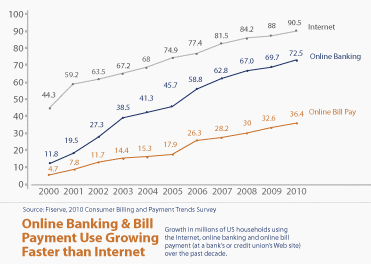 While online billing enables billers to reduce operational costs, it poses the problem of losing critical customer touch points. How does a biller maximize the impact of transactional messaging and reach customers with targeted, personalized offers without using costly traditional paper inserts? Traditionally customers receive bill inserts or ‘stuffers’, incorporating promotional content, in the same envelope as their transactional paper bills and statements. Businesses generate a significant amount of revenue from customer retention and up-sell programs. These transpromo marketing opportunities are often lost or ignored when a customer opts to view and pay their bill online. Striata’s innovative electronic messaging solutions enable companies to market to customers who use online payment portals and self service kiosks to pay their bills. This technology addresses the promotional marketing challenges of online bill payment portals by turning simple, plain text transactional emails into revenue generating marketing channels. The same functionality that Striata uses to ‘push’ an encrypted eBill to a customer’s inbox can be used to ‘push’ cross-sell and up-sell transpromo messages both within the email and the ebill attachment, for example a payment confirmation that is emailed to the customer. Unlike promotions presented on a website, emails can be customized to include relevant, targeted and personalized marketing offers. Commercial emails can be personalized according to customer demographics, business drivers and marketing criteria. Striata’s advanced profiling engine enables clients to include important promotional offers based on demographic (age, gender), psychographic (income bracket, purchase activity) and usage information, such as current product and service usage, length of service and billing address, as well as customer enquiry behavior. Transpromo messaging solutions are more effective! More cost efficient: Email marketing is significantly more cost effective than traditional paper bill stuffers. Activity can be tracked: Unlike paper based promotions, billers can accurately track detailed promotion activity. This type of detailed tracking and reporting facilitates intelligent, revenue-based marketing decisions, derived from measurable customer behavior. Targets captive audience: Customers paying online expect a payment confirmation email, so billers are ultimately targeting an expressly interested audience. Transpromo Marketing has proven to be an effective tool for many industries including insurance, cable and telecommunications, banks and lending services. Integrating personalized, targeted marketing into payment confirmation emails is a perfect example of transpromotional marketing.